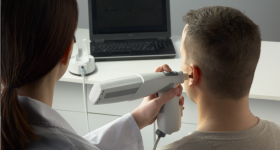 Having announced partnerships with Carbon and HP last year, pharmaceutical company Johnson & Johnson (J&J) have now outlined plans to integrate 3D printing into the development of medical devices. 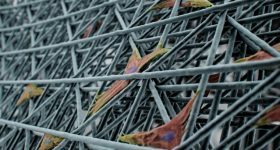 Johnson & Johnson have just revealed a new partnership with Aspect Biosystems and their plans to 3D print knee tissue after stating recently that they are ‘poised to transform healthcare with 3D printing technologies’. In a press release, the American multinational briefly explained how they intend to use 3D printing to explore treatment of ‘one of the most common knee injuries’ and one that they expect to rise with the ageing population in the U.S. 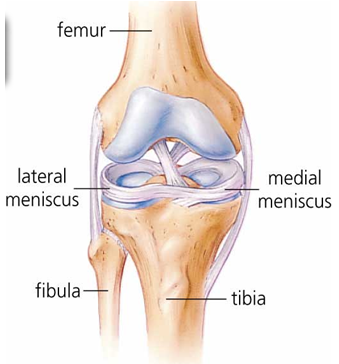 The injury relates to the meniscus which acts as shock-absorbing cartilage in the knee. 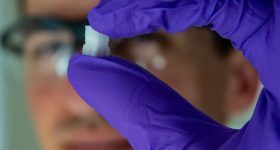 Through their partnership with the 3D bioprinting company J&J hope to offer a new alternative form of treatment. 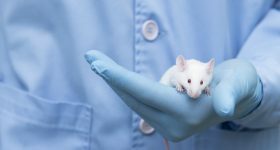 The partnership involves the DePuy Synthes Products branch of J&J and the bioprinting experts, Aspect Biosystems, have already produced a prototype of an artificial meniscus using their ‘Lab-on-a-Printer’ technology. 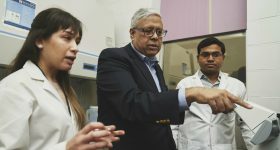 Through this, J&J hope to be able to provide an alternative to current treatment techniques. These methods involve either removing or partially removing the cartilage structure and can have complications leading to osteoarthritis. We are very excited to work with a global healthcare leader like DePuy Synthes. 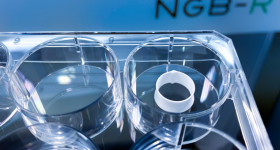 This collaboration marks a significant step for Aspect to apply our 3D bioprinting platform technology in developing groundbreaking tissue replacement therapies that hold the real potential to improve quality of life for patients. 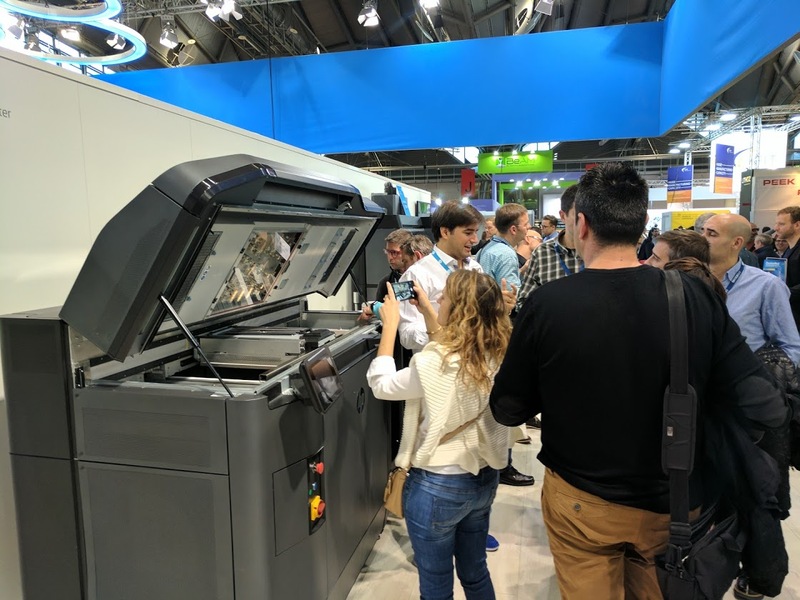 HP’s Multi-Jet Fusion 3D printer drew a crowd at Formnext 2016. Photo by Michael Petch. 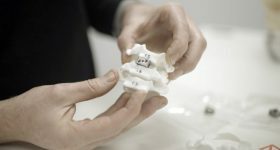 J&J chose to partner with Carbon and their CLIP technology with the view to utilize the fast 3D printing in order to create custom surgical devices. 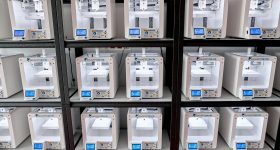 This new bioprinting partnership gives J&J access to even more 3D printing technology to create innovative products. 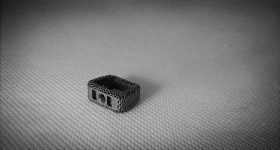 Carbon’s CLIP technology uses digital light processing to create 3D objects. Image via Carbon. 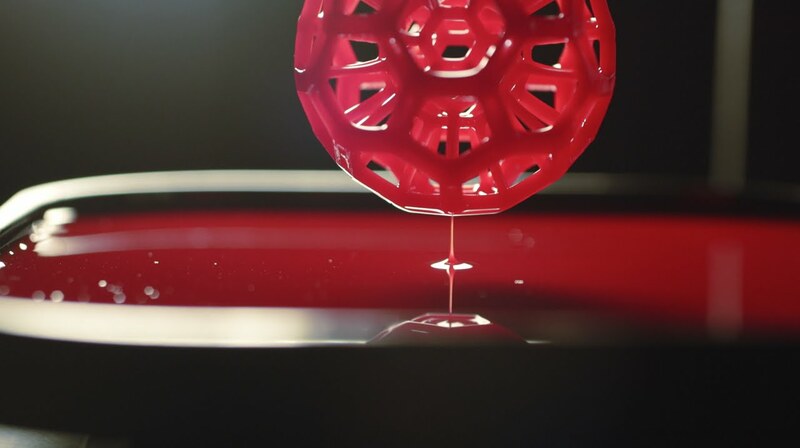 Johnson & Johnson refer to 3D printing as a ‘disruptive technology’ and in a video accompanying their claim of transforming healthcare with additive manufacturing they list the ‘endless possibilities’ that additive manufacturing makes possible. 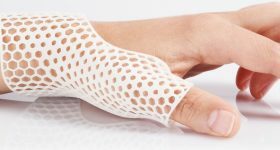 We look forward to seeing how Johnson & Johnson back up claims of transforming healthcare with 3D printing in the future. Sign up to our newsletter to stay up to date with Johnson & Johnson and the latest medical applications of 3D printing. Featured image shows the Lab-on-a-Printer. Image via Aspect Biosystems.